60 volunteers from Angholichi Goli are working to rejuvenate Maharastra’s trees by clearing out nails and other sharp objects to preserve them. It was nearly 123 years ago, celebrated Bengali scientist Jagadish Chandra Bose established that plants are living organisms, capable of feeling pain. In the century that has passed since Bose’s discovery, green cover across the world has shrunk to 51 per cent in 2016 from 73.4 per cent in 2017, with plants across the world systematically cut to make way for wider roads and modern buildings, causing vast ecological damage and contributing to environmental degradation. The loss of trees around the world has degraded global air quality, and India is no stranger to polluted air. 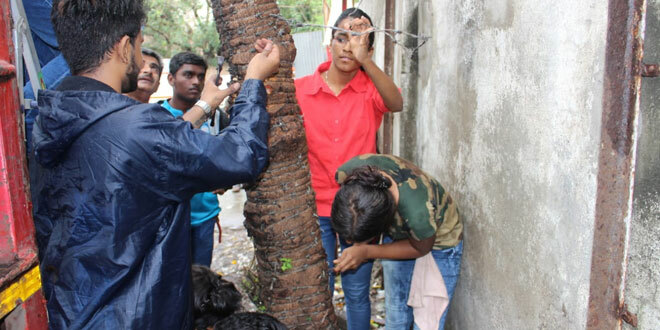 In a day and age when tree cutting is seen as a necessary action to propel towards development, a group of volunteers in Maharashtra are rescuing trees that exist and trying to preserve them from damage caused by sharp objects like nails, glass and so on. “Trees are the most fundamental solution to the problem of climate change and air pollution. Conserving trees and nurturing ensures that the fight against climate change gets the much needed boost. People have misused trees for years, not caring much about their pain. That is why, we are doing our bit to make it easier for trees by removing nails and other sharp objects from them,” said Madhav Patil, President, Angholichi Goli. Angholichi Goli is a nonprofit organisation that began operations in 2014 in Pune, Maharashtra. The group initially focused on water management and spread awareness. The organisation’s name literally translates to ‘bath pill’, and since 2014, its volunteers have been encouraging people to skip a bath a week to conserve water. But it was on encountering a tree full of nails earlier this year at Pune when the group realised that a tree is as good as dead if it was full of nails, barbed wire and glass. This encounter with the nail filled tree earlier this year, prompted the organisation to begin taking stock of how abused trees are across Maharashtra’s major cities. 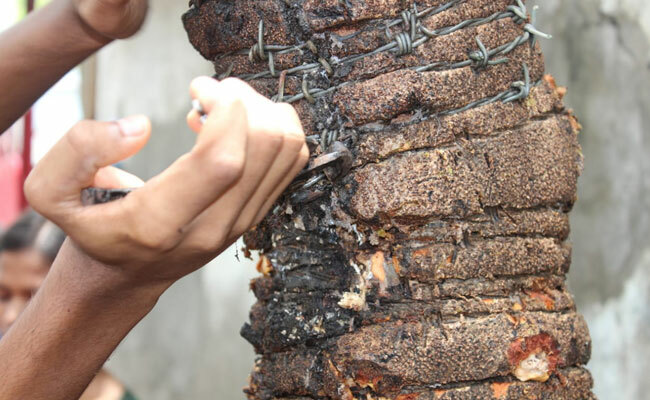 Be it for advertisements, hoardings or promotions, trees are regularly abused in the form of nails drilled inside their branches and barbed wires wrapped around. Such abuse results in gradual death of trees, and given the poor state of green cover across urban India, such treatment of trees leaves them vulnerable and unable to produce clean oxygen. Inserting a nail into a tree causes tissue damage. Around 10 holes in a tree can cause enough structural damage to kill it. At a time when green cover is decreasing rapidly from Indian cities, It is very dangerous to knowingly kill trees by puncturing holes into them, said Tushar Warang, one of the members of Angholichi Goli. 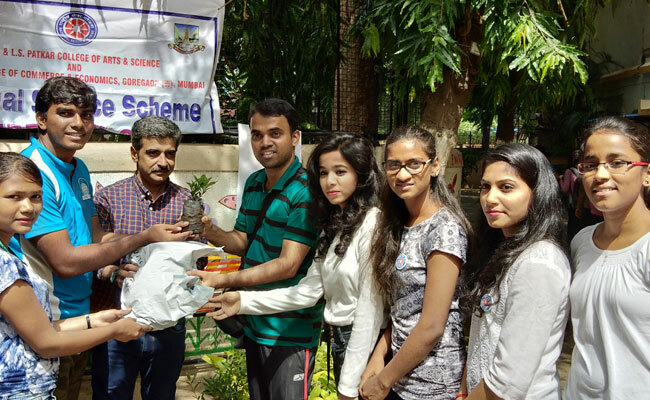 The organisation, which presently has 60 volunteers spread in Pune and Mumbai, began its #NailFreeTree campaign from Pune in January this year. With participation of school children and senior citizens, the organisation has cleaned up 500 trees in Pune and 500 more in Mumbai. The organisation is also expanding to areas like Pimpri-Chinchwad, Bhandara, Thane and Kalyan. Angholichi Goli volunteers also remove tree guards of big trees which tend to hinder their growth. In 1970s, Mumbai had a green cover of nearly 35 per cent, which today has come down to less than 13 per cent. The ideal green cover of the city should be 33 per cent, but infrastructure development has led to the cutting of numerous trees in the last few decades. Four people are today getting oxygen from one tree, when ideally it should one person getting oxygen from four trees, said Mr Warang. The organisation has also started a unique campaign, which simultaneously addresses the issue of tree plantation and managing plastic waste. Since the Maharashtra plastic ban came into effect from June 23, Angholichi Goli has begun a sapling for plastics exchange programme. In exchange of five plastic bags, the organisation hands over a sapling. Till now it has collected over 300 plastic bags from 60 households and expects to collect many more as the ban intensifies. India is home to 14 of the world’s most polluted cities as per a World Health Organization (WHO) report released in May this year. Depleting green cover across India will probably increase the number of polluted cities. The effort undertaken by Angholichi Goli is a reminder that even if planting new trees is a difficult activity to participate in, taking care of our existing green cover can also contribute towards an ecologically sound planet. Previous Post: Here Is How A Duo Is Building A Healthier Mumbai For Women. Next Post: Story Of ‘The Peepal Baba’, Man Who Has Planted Over 20 Million Trees.